As a singing teacher, I noticed that many of my students were lost looking for a choir that suited them. 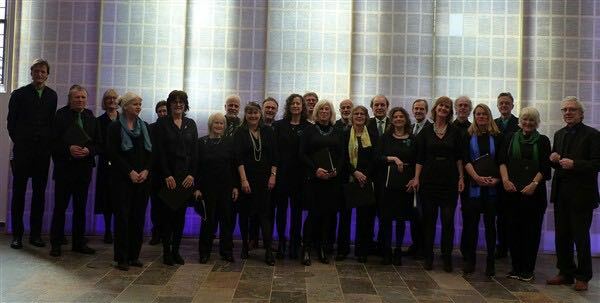 So I decided to make an overview of choirs, vocal ensembles and singing groups in Amsterdam, both amateur and professional, by genre and/or language. Go ahead, book the one you like or go for a tryout. 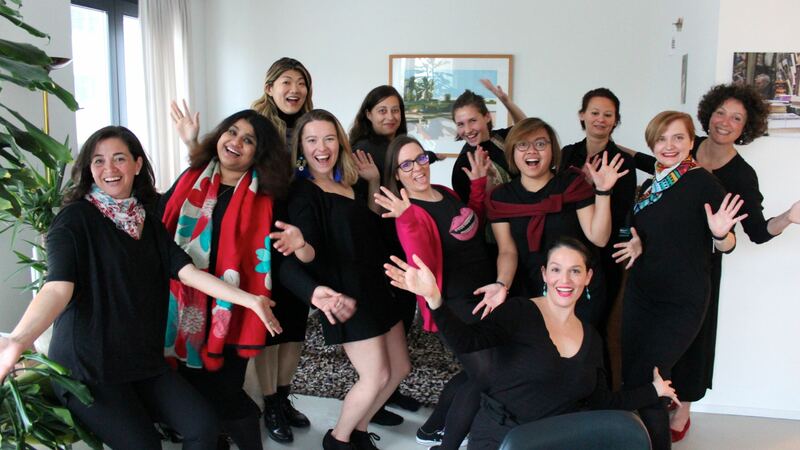 Of course I mention my own choir The Merry Poppins here: we sing new arrangements of the best musical theater songs – think Sister Act, Fiddler on the Roof, Hair. 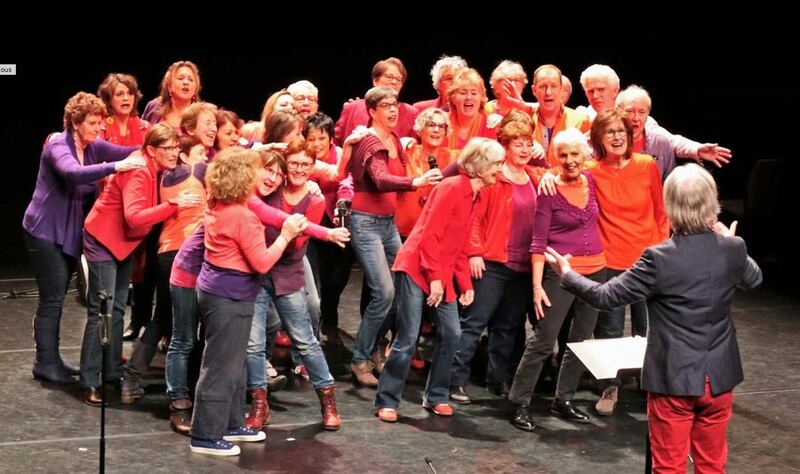 We are a dedicated amateur choir, founded in 2018 and growing fast. Beginning singers may audition. 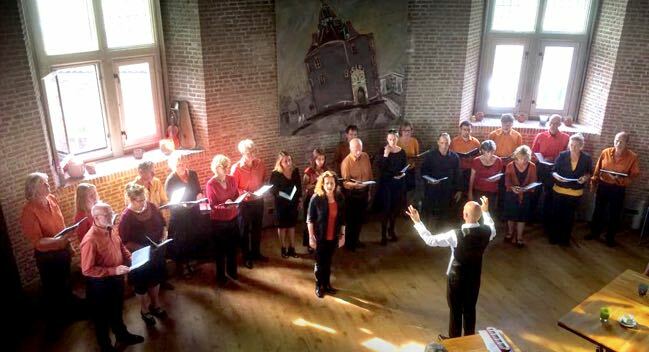 The Amsterdam Musical Choir is attached to Amsterdam Musical, the school where beginning and advanced amateur musical singers can develop their skills. The choir has performed quite a few full-evening productions. 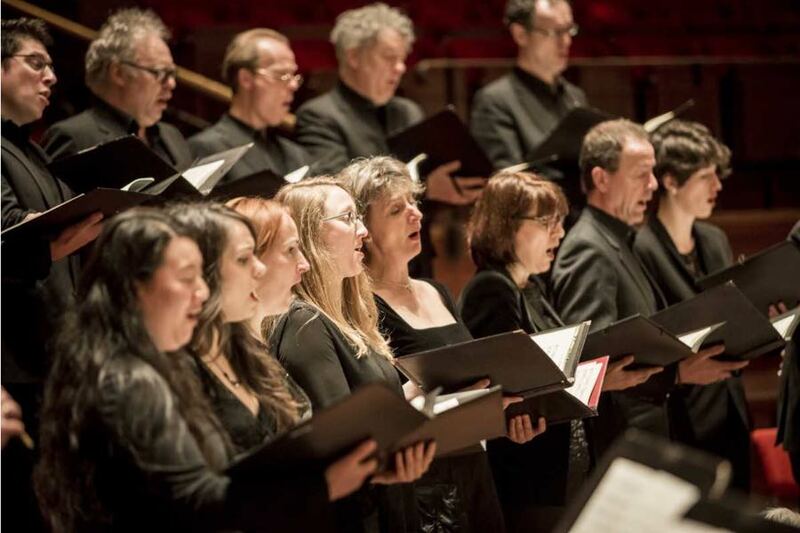 The Amsterdam Baroque Choir is A prize-winning choir (Edisons, Gramophone Award, and more) that was founded in 1992, and gained fame in the Holland Festival Oude Muziek. 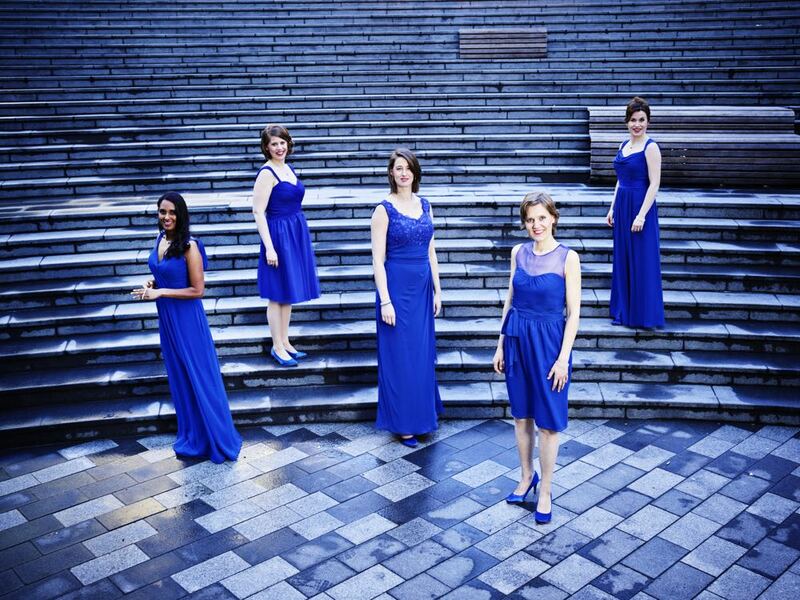 Wishful singing is female a cappella, with five classically trained singers. They have performed on Dutch tv show De Wereld Draait Door. 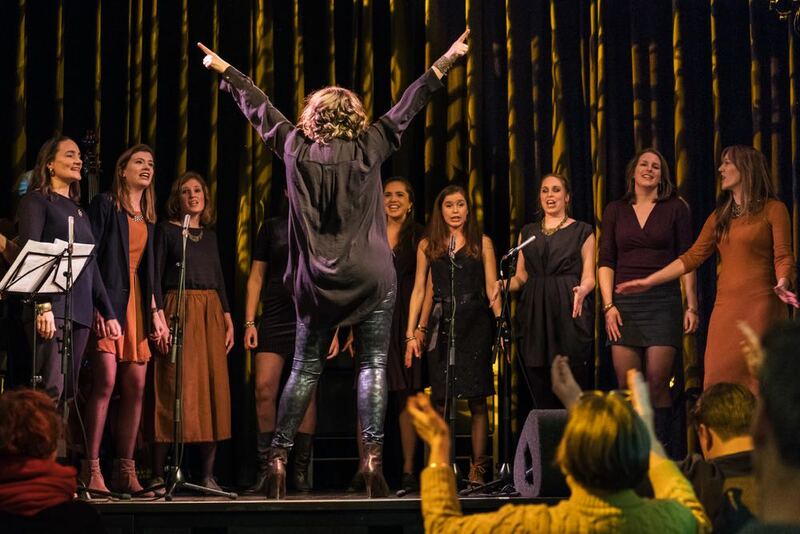 In recent years Cappella has been prominent in the field of Dutch music. 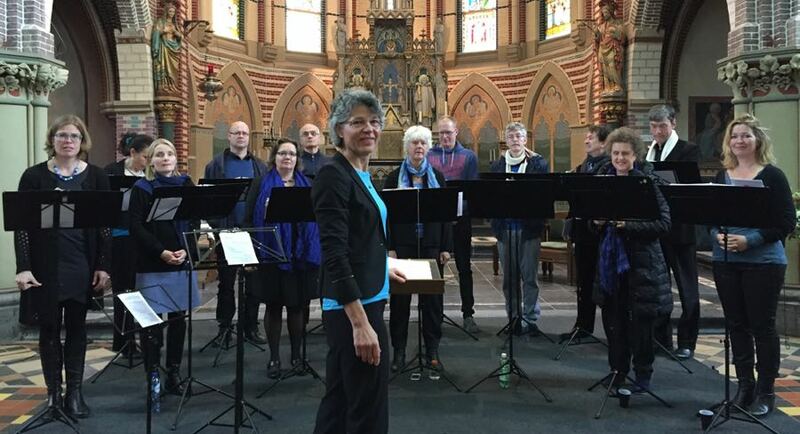 The choir has special attention for works by Dutch composers, from Sweelinck to Andriessen and Ton de Leeuw. Nederlands Concert Koor have performed with all the renowned Dutch orchestras, such as the Dutch Philharmonic and Concertgebouworkest. 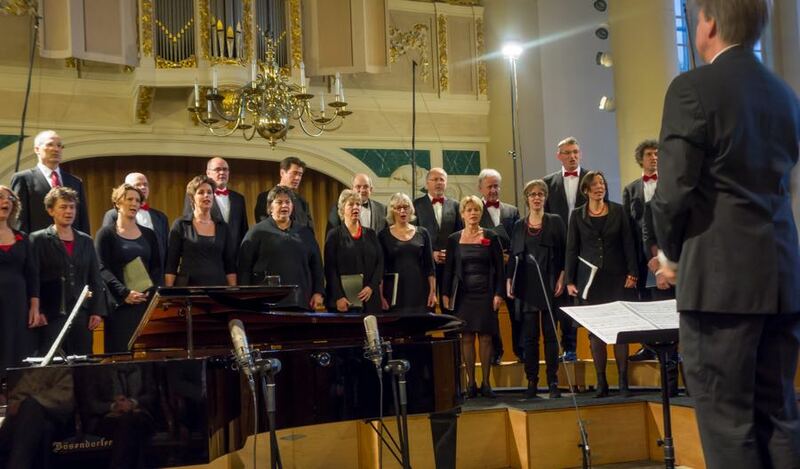 Kamerkoor Vocoza are around 28 schooled amateur singers, who approach the professional level. 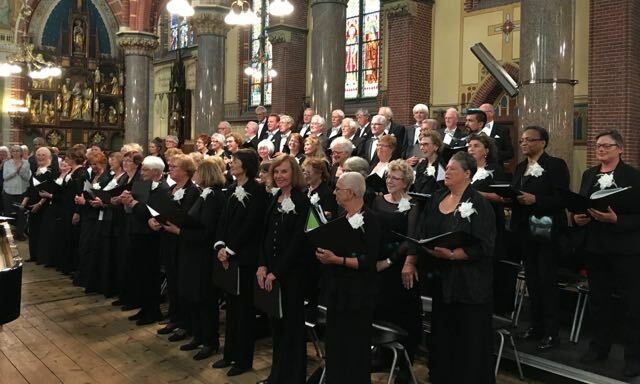 The focus is on 20th en 21st-century choir music from Europe and the US. 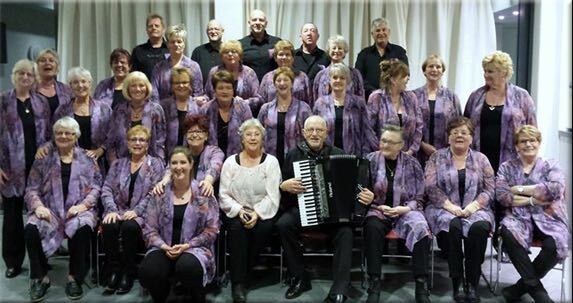 Photonen are a vocal ensemble of about 25 trained singers. You are welcome to audition if you are a singer with a background in choirs and/ or with a history of singing lessons. Repertoire spans a thousand years of classical and modern composers. 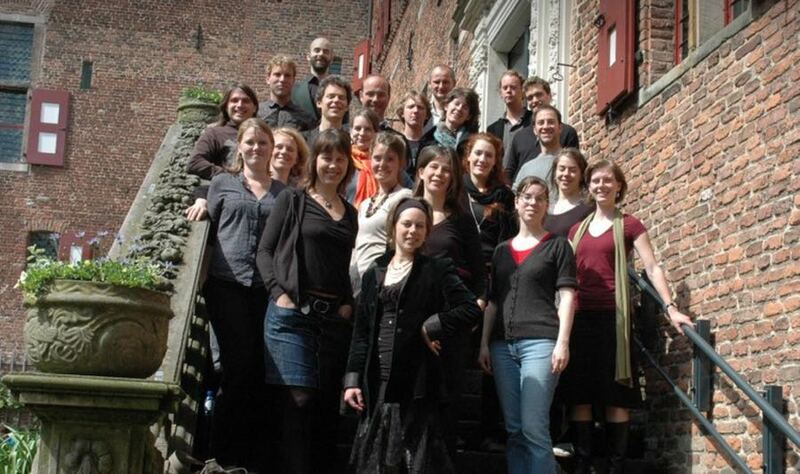 Hollands Vocaal Ensemble Amsterdam is a chamber choir for advanced singers. They perform a broad repertoire and perform on average three shows a year. 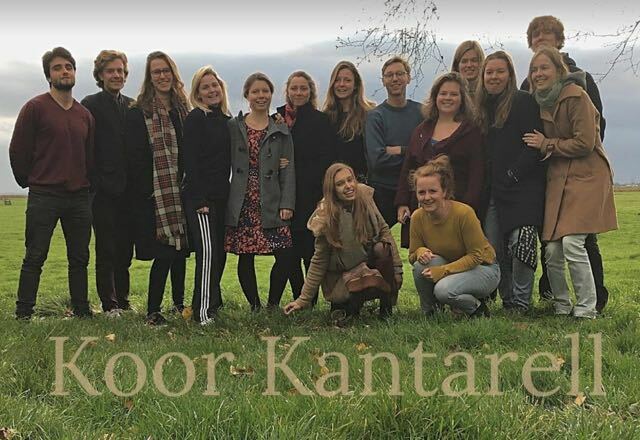 Kamerkoor Amsemble is an group of ambitious (young) choir singers who have 4-7 intensive rehearsal periods/projects per year with a certain theme. Singers with ambition and choir experience can audition. 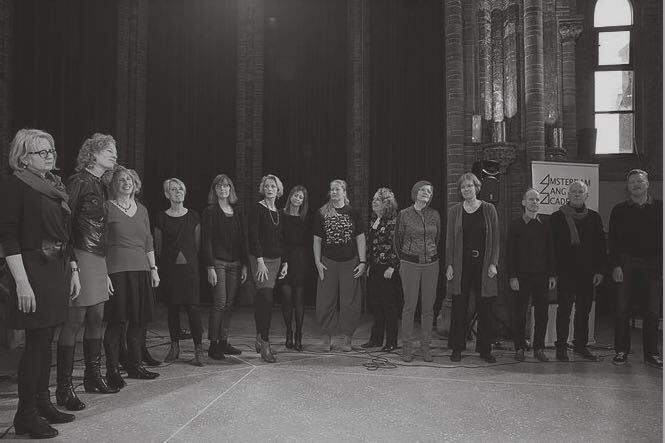 Amsemble recorded a cd with classic religious choir pieces that was reviewed positively in Trouw. The Amsterdamse Bachvereniging (since 1969) is located in Amsterdam-East. The choir sing music of Bach and his contemporaries. Twice a year, they perform with professional soloists and musicians. At least once a year Toonkunstkoor brings an own production. Besides compositions from the 18th and 19th century, also the great choral works from the 20th and 21st century are in focus, especially the difficult ones that are seldom performed by an amateur choir. Rehearsals are in the center of Amsterdam. Tien are an ensemble of trained and experienced singers who work with different directors depending on the program and performance. 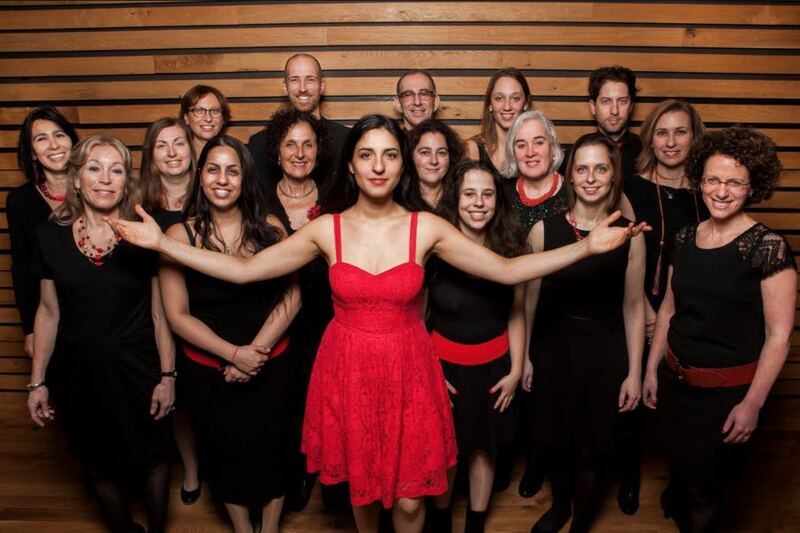 Lelikoor is a group of trained amateur singers who have broad backgrounds in choir singing. Repertoire ranges from Renaissance until 21st century, often grouped around a theme (Salve Regina, Love and death, Tudor music). Het Amsterdams Gemengd Koor have a 90-year long history. They have performed on big stages, but still allow non-professional singers in their ranks. Of course after a voice test. Collegium Musicum Amsterdam orginally performed 15th and 16th Century polyphonous music. This repertoire is considered cultural heritage from Holland. In those days our composers (De Wert, Sweelinck and others) gained fame in the courts of the Italian city states. The classic and romantic period are also on the repertoire these days. 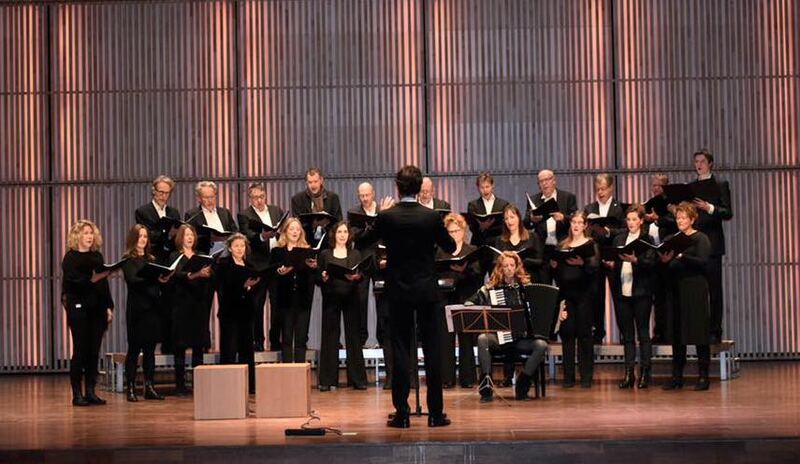 De Amsterdamse Cantorij consist of a few dozen experienced singers and are directed by Felix van den Hombergh. Repertoire ranges from Renaissance to contemporary music, and from a cappella compositions to works for orchestra, choir and vocal soloists. 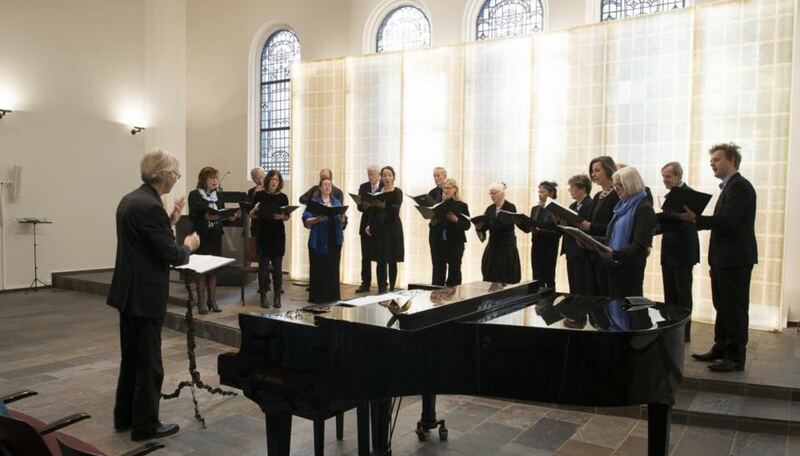 Kamerkoor Convivium performs pieces dating from renaissance to late romantic music. Rehearsals are in the center of Amsterdam. Twice a year, the hold rehearsal weekends outside the city. At least once a year, they cycle through the city, stopping for guerilla performances ? 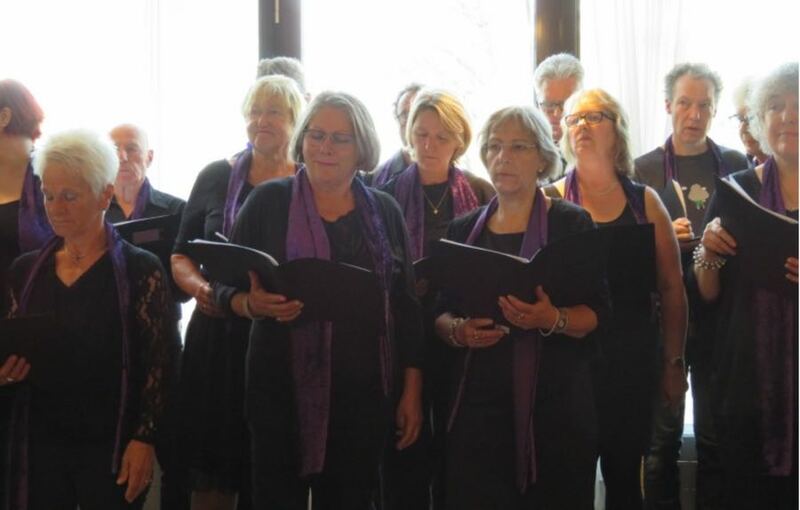 Koor Babylon have classical songs on their repertoire: Fauré, Saint Saens, de Sermisy. From new members they require some experience with choir singing. They rehearse in Buitenveldert. 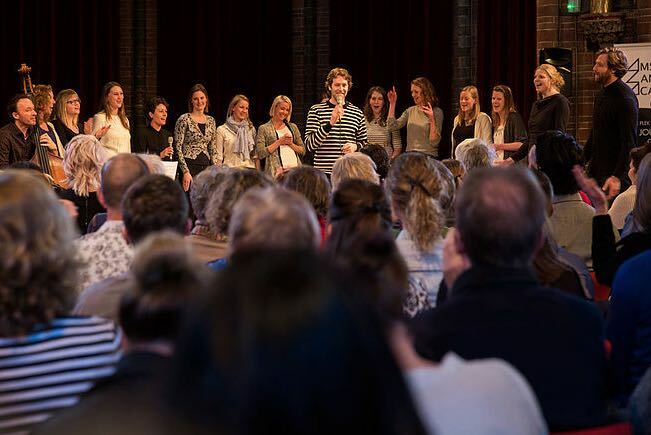 The Amsterdams Opera Koor has always been able to work with professional musical directors. 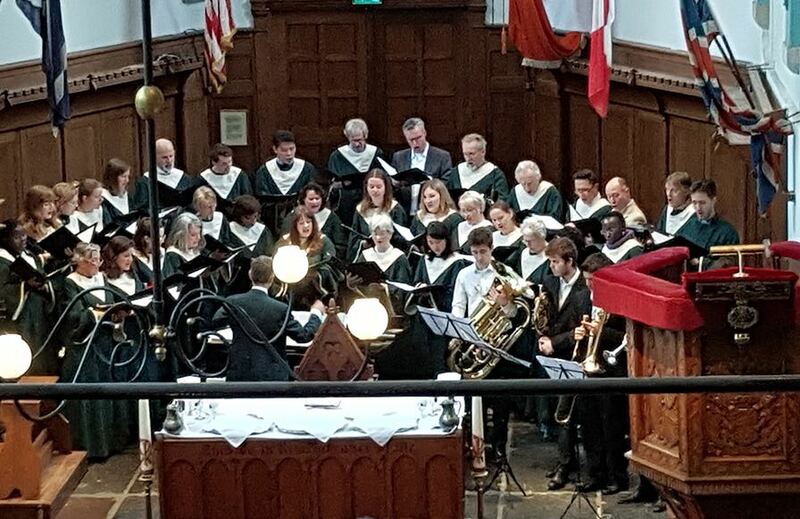 The choir performs with professional soloists and musicians. Koor Kantarell specialize in Baltic/Scandinavian classical music. 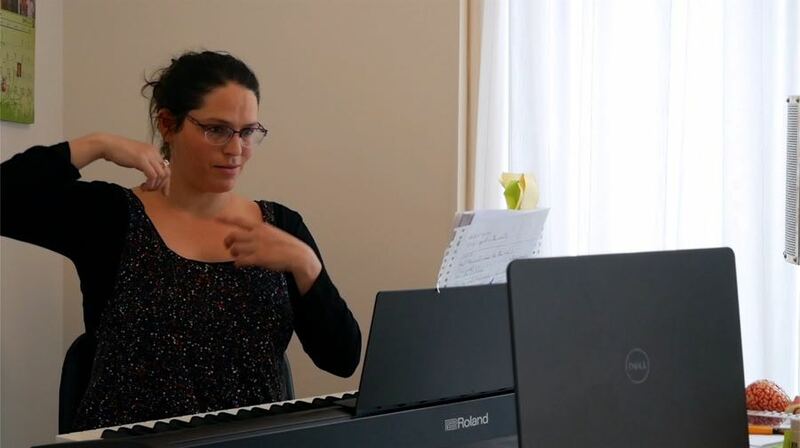 The rehearse in Amsterdam-Oost and accept singers without a lot of experience. Plankenkoor have classical and light classical songs on their repertoire. Beginners are welcome to audition. Rehearsals are in Amsterdam-Zuid. 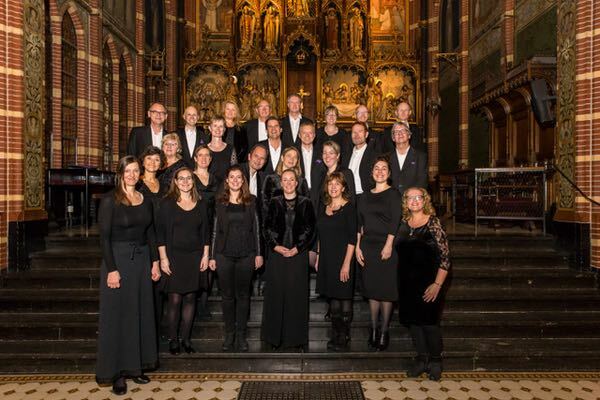 Kamerkoor Amphion is a choir with classical and modern pieces on their repertoire. Rehearsals are in the center of Amsterdam. After a few rehearsals and a voice test, you can become a singer in their choir. Gaasperdams Gemengd Koor (Amsterdam Zuid-Oost) have classical songs from different eras on their repertoire. Beginning singers may join. The KCOV perform the big choir pieces, oratoria, masses and requiems. Beginners may join after a voice test. Meneer de Wit sing classical songs and add an experimental twist. 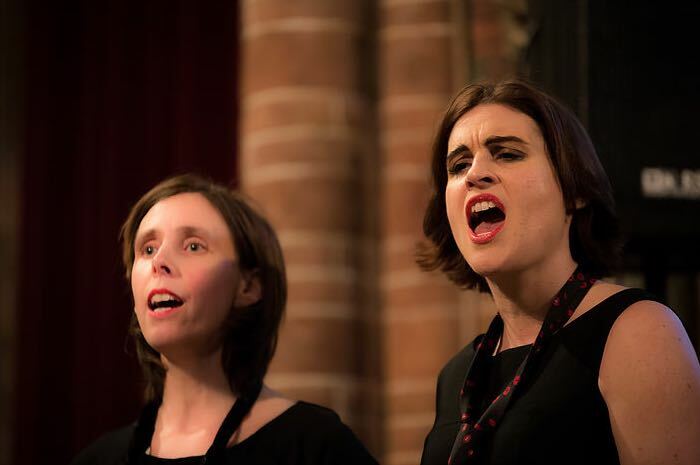 They perform with professional soloists, for example the Johannes Passion. 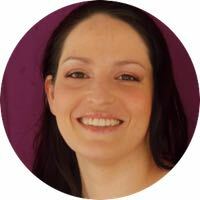 Artistic leader is Wendela de Vries. Rehearsals in De Baarsjes quarter. 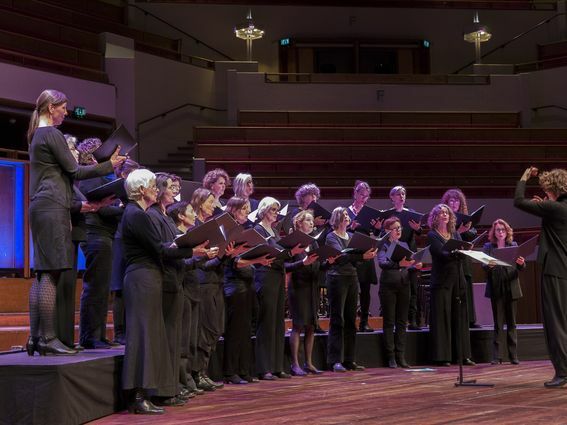 There is also a female choir, aptly named Mevrouw de Wit, who sing a broad repertoire of both classic and modern. 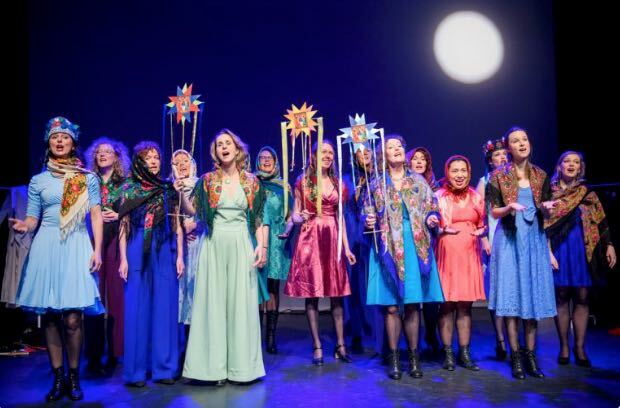 Named after the Hungarian composer Zoltán Kodály, women’s choir Kodály performs classical pieces, but also works by the aforementioned composer. 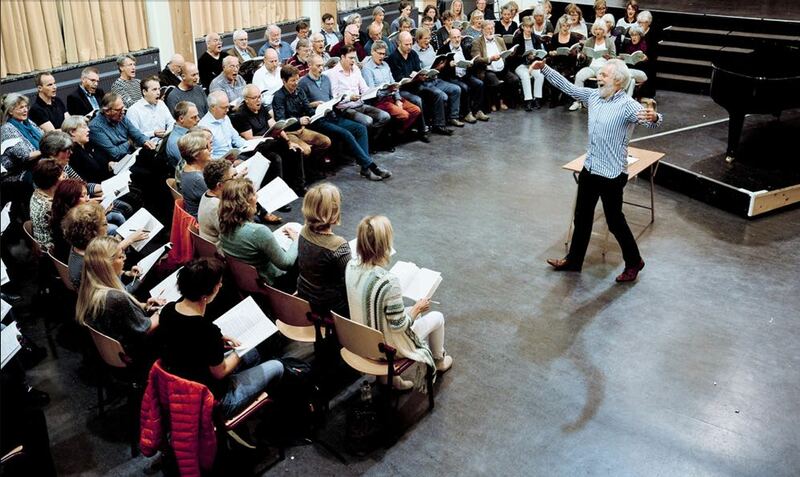 The choir members have trained voices, and rehearse in the CREA-building in the center of Amsterdam. 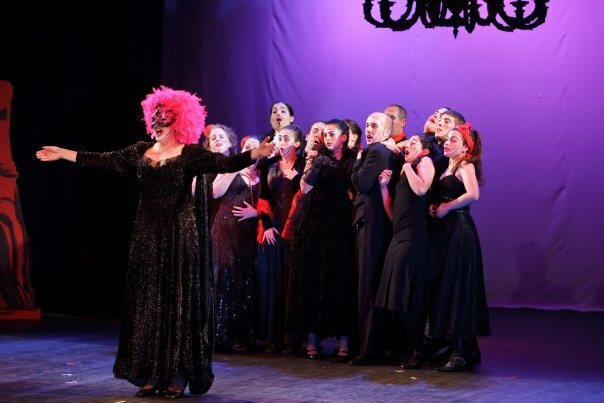 As a singing teacher, I have a background in opera but teach all styles. I have my own musical choir and I teach groups. Do you want to come for a lesson, as a group or individually? Read more about me or schedule a lesson. 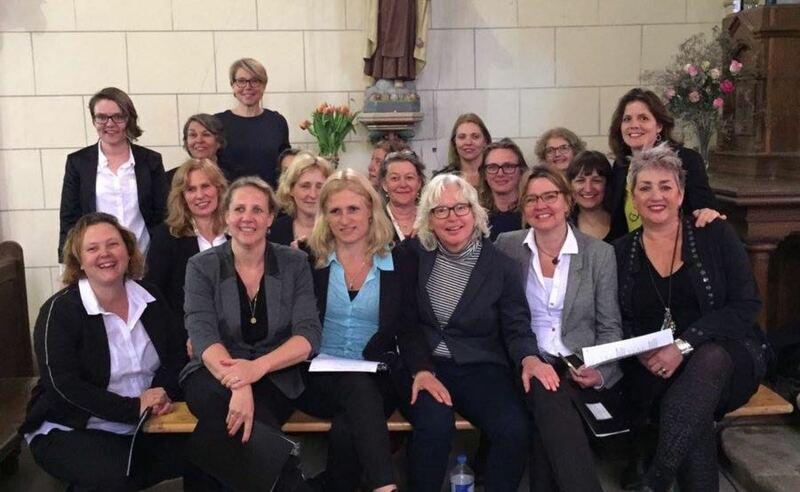 Female’s choir Nordlys (Northen light in Danish/Norwegian) bring challenging programs from mostly Northern-European composers, both contemporary and classical. Singers can decide to participate per project. Experience with singing in choirs is required. Grootkoor Amsterdam are a big choir that do a few ‘choir projects’ each year. They rehearse in Amsterdam-Zuid. 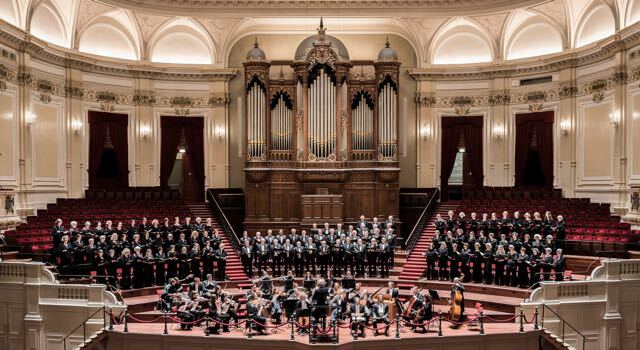 Their concerts are in big venues such as Concertgebouw and Westerkerk. 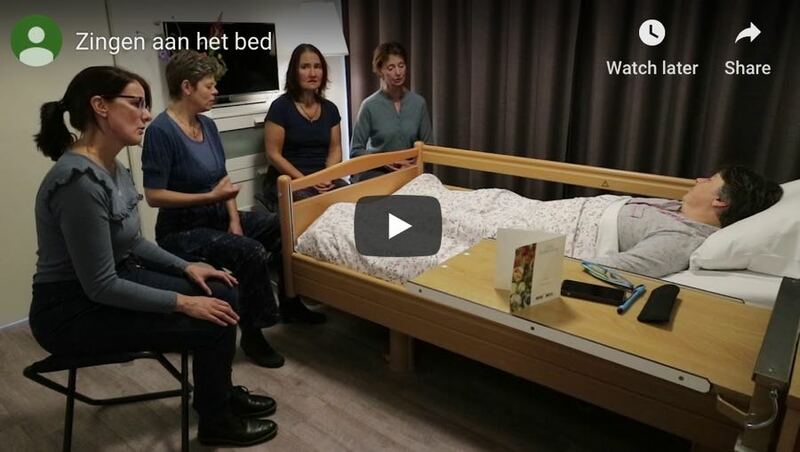 Bedside singers are an ensemble that sing for people in the latter stage of their life. Locations can be hospices, nurseries or hospitals. Songs can be discussed, and of all kinds of styles are possible. Caretakers are welcome to be present. Guilty pleasures… the name says it all. Think Backstreet boys, Destiny’s child… But make no mistake. The level of dedication and performance is high. The lessons focus on vocal technique, choreography and other aspects of performance. 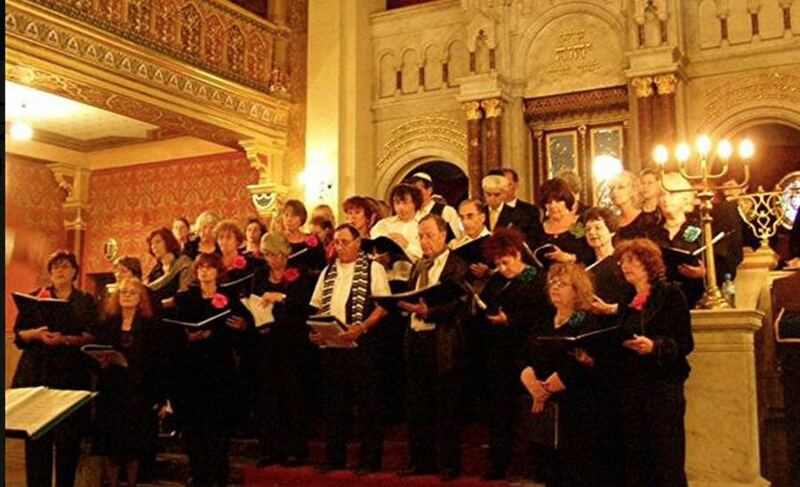 Choir Slavuj perform songs from Balkan and Black Sea countries. Choir singing is alternated with solo’s, duets and quartets. They rehearse in the center (Nieuwmarktbuurt) and have six concerts per year. Hebrew Groove‘s repertoire consists of Israeli pop songs from all periods, retouched with the groovy piano and close harmony vocal arrangements of conductor Noam Vazana. Rehearsals are in the beautiful LJG (modern synagogue in Amsterdam-Zuid). Song lyrics are also transcribed, so mastery of the Hebrew language is not necessary. Het Russisch Kamerkoor mostly sing Russian orthodox lithurgy choir music. Compositions are from known and lesser know composers such as Archangelski, Bortnianski, Rachmaninov en Tsjajkovski. Song lyrics are also transcribed, so mastery of the Russian language is not necessary. 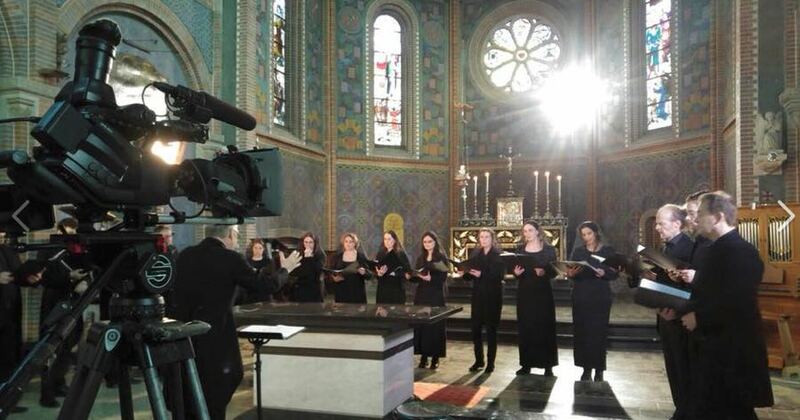 Oktoich choir want to share the beauty of Russian church music. They make journeys to (former) Russian republics and perform there. They have performed at renowned festivals such as Festival Oude Muziek and Gergiev Festival. Rehearsals are in the chapel of OLVG in Amsterdam-Oost. Renanim are not religious but sing songs from the different languages of Jewish culture: Hebrew, Yiddish and Ladino. To join, you don’t have to be a native speaker of any of those languages. Rehearsals are in Amsterdam or Utrecht (both LJG’s of those cities). Choir Merani sing songs in Georgian. 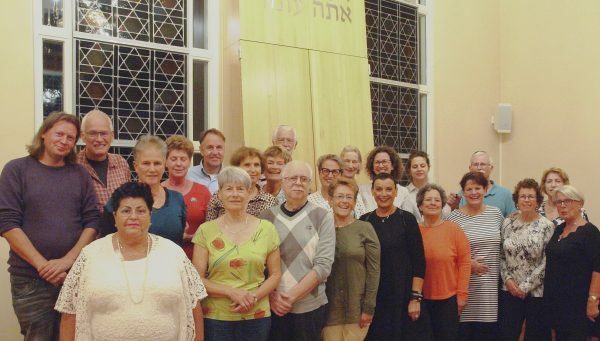 Yiddish choir Hejmisj Zain sing in Yiddish, and the odd song in Hebrew or Ladino. Rehearsals are in the modern synagogue LJG in Amsterdam-Zuid. 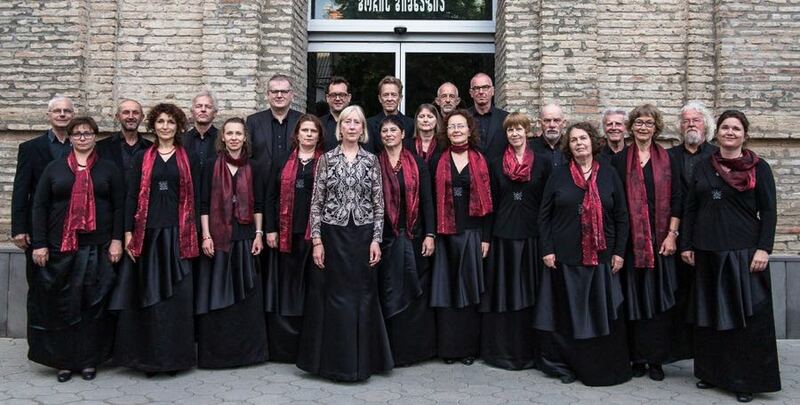 Chubritsa is a Dutch a cappella choir who sing in Bulgarian. Folk music in original arrangements. Filomila in Greek means a girl who loves a song. Most choir members don’t speak Greek, so you can join in any case. Repertoire ranges from rebetika to tradionals and folk. The choir is accompanied by a bouzouki player. All voices are welcome to join. The choir Canticum Angelicum for more than fifteen years have been singing English choir music; the beautiful works from the Cathedral tradition of the Anglican Church. 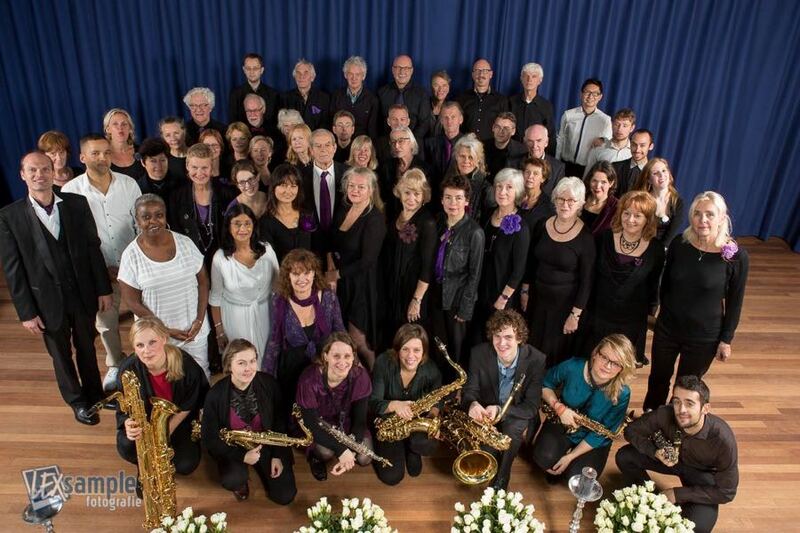 Singers of the English Reformed Church Choir are of all nationalities and religions. They perform a broad repertoire, and beginners can join. Wouldn’t you believe it? 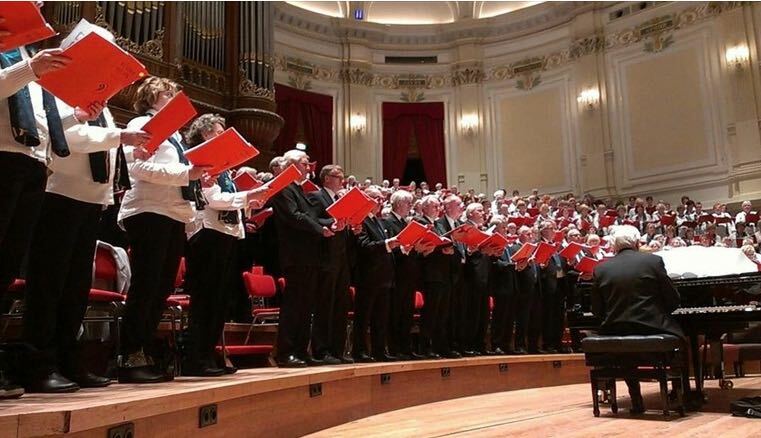 There are still choirs in Amsterdam that sing in Dutch ? Schinkelkoor sing mostly Dutch songs, both contemporary and earlier repertoire. Rehearsals are in Amsterdam-Zuid. Beginners can apply. De IJgenwijze Noot are a choir in Amsterdam-Noord. Their anthem is ‘Aan de zonzij van ‘t IJ’. They have Dutch and English pop songs on their repertoire. 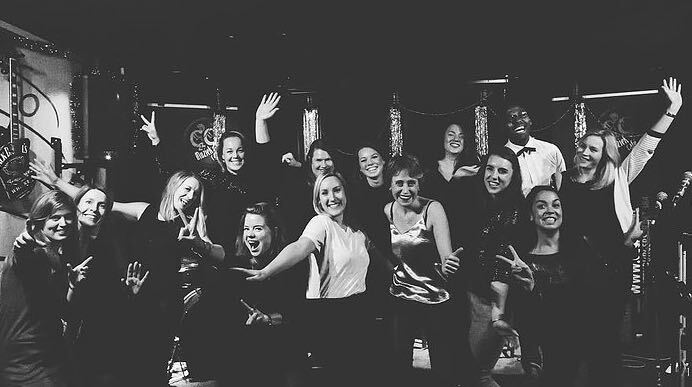 In June 2018 they performed in the successful folk opera Vogelbuurt. Het Zwanenkoor perform 30 times a year, mostly in homes for the elderly. Their repertoire of crooners include songs from legendary Amsterdam folk singers such as Johnny Jordaan, Willy Alberti & Tante Leen. Dwars door Amsterdam sing Dutch songs and traditional songs from Amsterdam. They rehearse in De Jordaan (center). 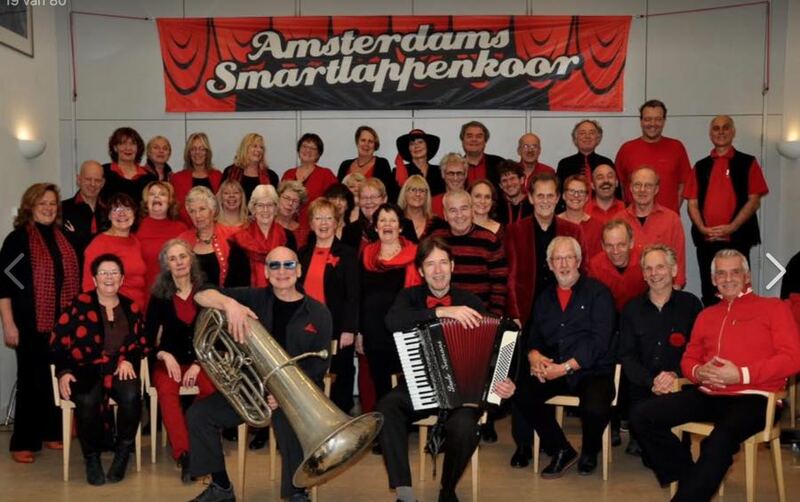 Amsterdams Smartlappenkoor sing a Dutch genre (‘smartlappen’) that might be translated as ‘tearjerk songs’ or ‘sob story songs’. Classic songs from the Amsterdam and Dutch tradition. Zo! 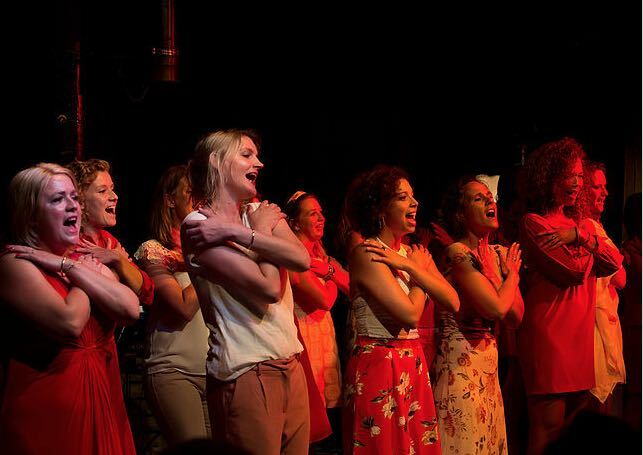 Gospel choir is (semi-)professional, so you have to be an experienced singer and audition. They often perform with professional singers and even stars. Fire Choir sings gospel and rehearses in Buitenveldert. No experience is needed to join. 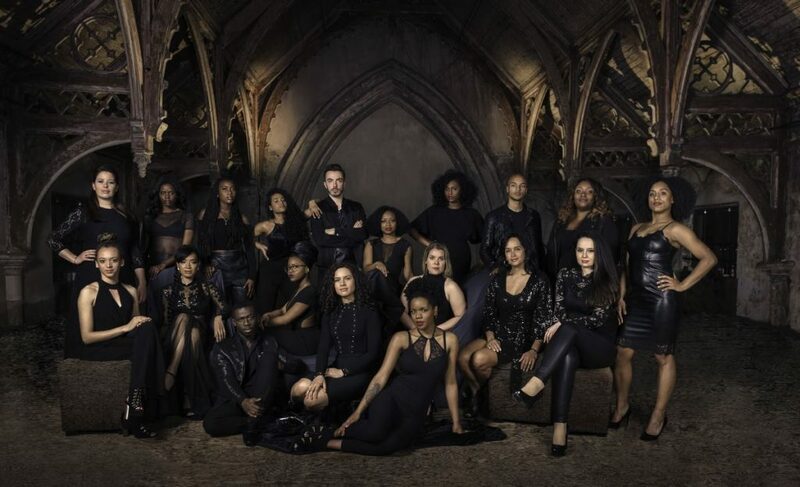 Amsterdam Black Music Gospel Choir (ABC Gospel Choir) sing popular, traditional and feelgood modern black gospel songs, as well as Motown and soul classics. 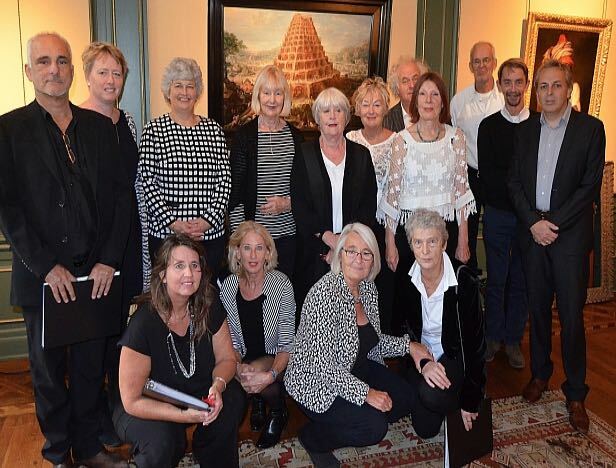 Book this choir for weddings, parties and corporate events. Deliverance sing black American gospel, with R&B influences. They often perform at festivals and parties. Beginning singers with a good voice and sense of rhythm may audition. 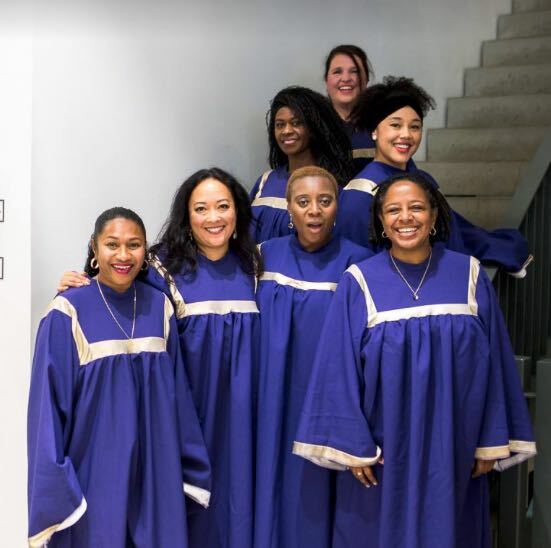 Wazzup Singers has a passion for black gospel and related genres, like soul and R and B. Wazzup Singers work on their vocal qualities and want to reach the (semi)professional level. 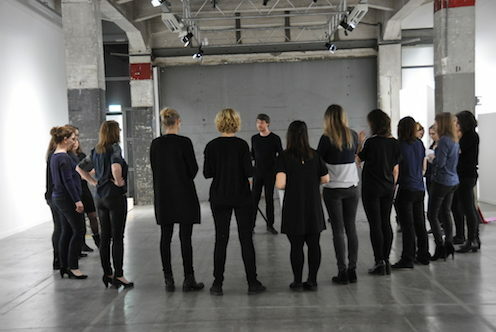 The Genetic Choir do vocal instant compositions. They use a method for improvisation singing. The choir train and instantly compose together frequently. There’s a performers group of experienced singers, who sings concerts in – often unusual – locations. 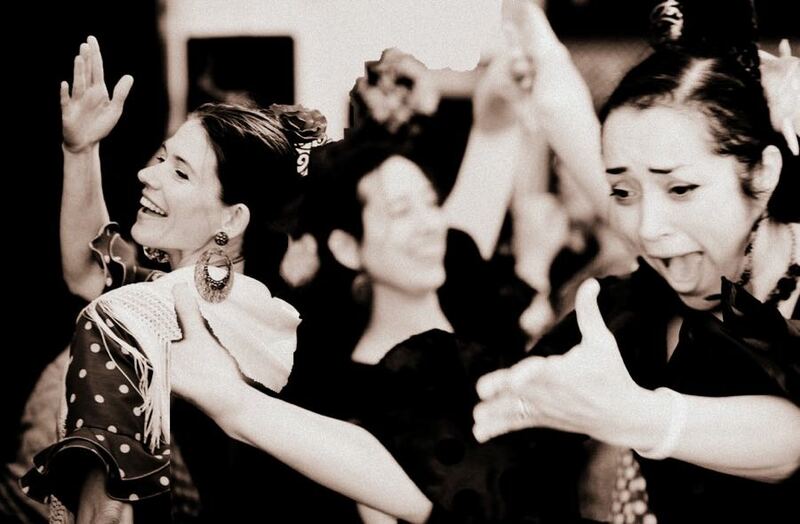 All present members of Coro del Campo started taking a course flamenco singing. The choir grew organically out of it. The choir has made a name for itself, making performances true parties. Calle Real sing fandangos and sevillianas from the Huelva province, and cantes from the Flamenco Puro from other areas in Spain such as Malaga and Cadiz. Koor Rook is an ensemble of fine amateur and semi professional vocalists. They focus on world music and pop. You can always audition! 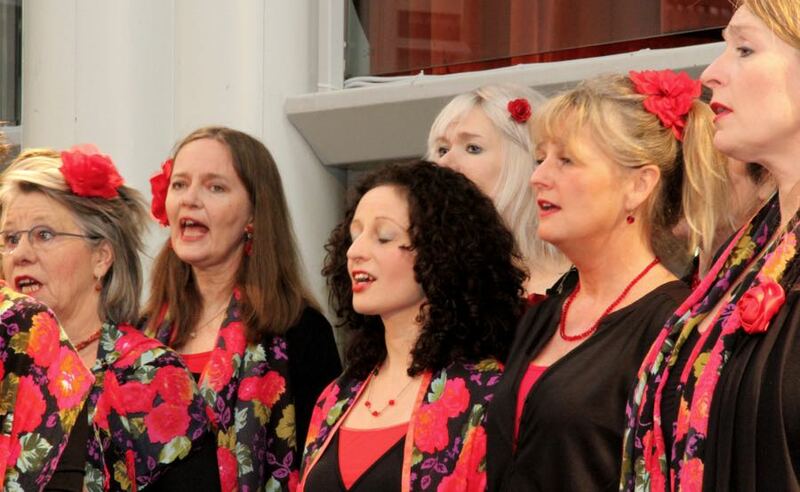 Angels Voices is a vocal group with a passion for world music and harmony singing. They create a theatre show with a different theme each year. They are regularly found on stages all through the Netherlands and occasionally abroad. They open auditions for voices they can use at a certain time. Tell mama we’re late sing world music. Beginners are welcome to come tryout. IJburgkoor rehearse in the area of Amsterdam with the same name. The repertoire is extremely broad, hence the ‘world music’ category here. Ranging from 16th century music to contemporary African music. Around 25 experienced singers perform music dating from the early 20th century onward. 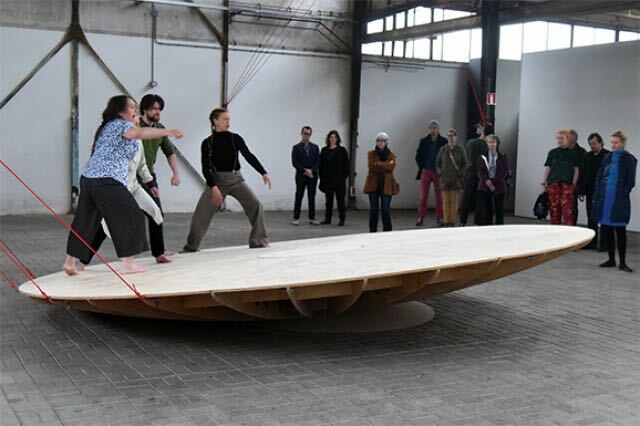 Kamerkoor Tegenlicht puts a lot of emphasis on originality of interpretation. 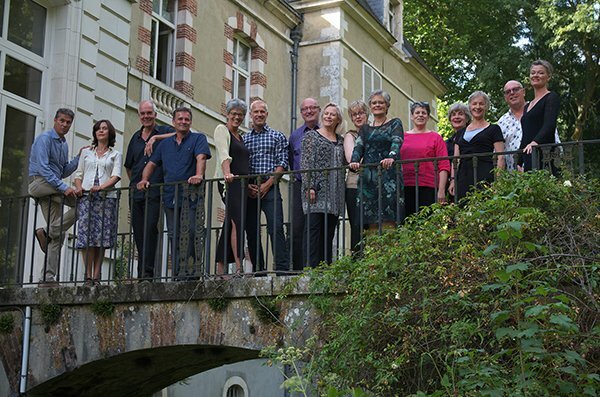 AUK Kamerkoor sing a broad range of contemporary music. Ranging from Dutch composers to Estonian folk songs. From new members they require experience with choir singing. Rehearsals are in the center of Amsterdam. Any Blue rehearse at Crea, in the center. They sing a varied repertoire of classical / jazz / pop. In three, four, five, and possibly even more voices. Some experience with singing and reading sheet music is a plus. The Amsterdams Gouwe Ouwe Koor (AGOK) sing pop hits from the 60’s and 70’s. Beginning singers are welcome to join. 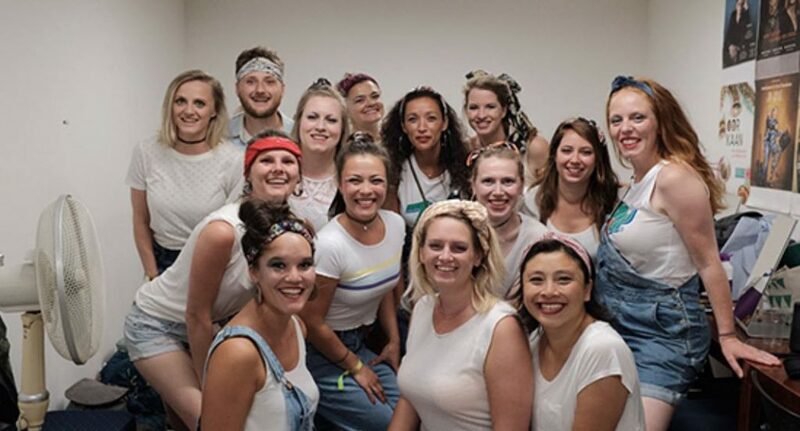 Popup Choir Amsterdam are a non-committal pop choir. Every other week they get together in the centre of Amsterdam to learn and sing a choir-version of a fine pop hit. Soul redemption sing pop and soul in surprising arrangements. 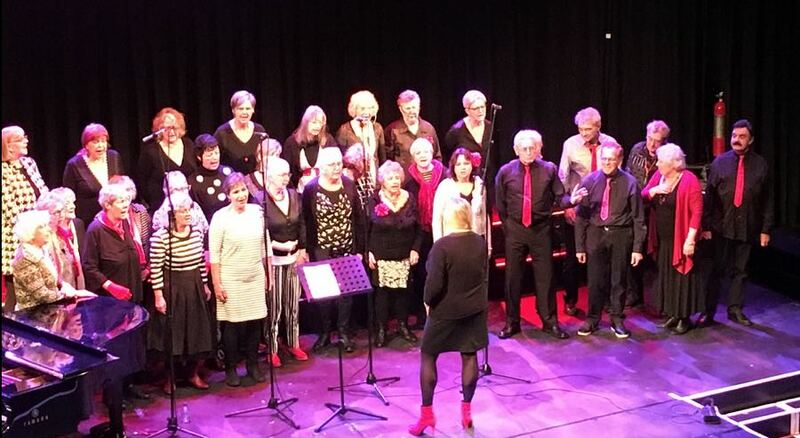 Rozenkoor is a gay/lesbian/bi choir with a repertoire that ranges from Dutch to Russian, classical and pop. They rehearse in Amsterdam-Zuid. The expressive performances accentuate diversity. Vocal Group Sonar are a female vocal group who sing the better pop songs (with a guilty pleasure here and there) in 4, 5 or 6 voices. They rehearse in Amsterdam-West. They won festival Balk West in 2017. 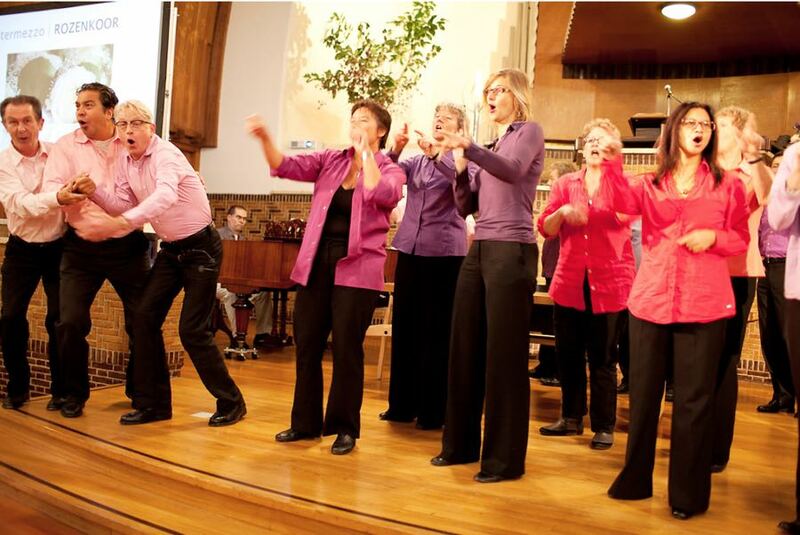 Noisy Voices are about fifty members singing contemporary English and Dutch pop songs in five voices. Beginners can audition. Lust for life believes that singing pop music is not restricted to people under any age. The senior citizens rehearse in nursery home Vreugdehof, Amsterdam Buitenveldert. 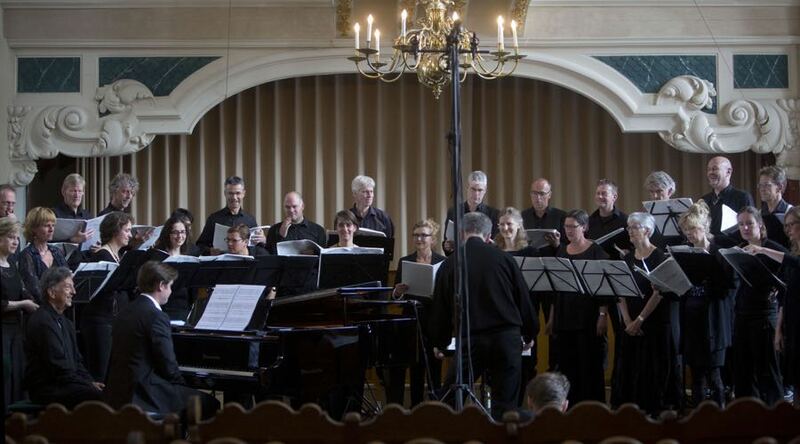 A diverse repertoire in the Hemsterhuis koor: from Coldplay to Mozart. They rehearse in Amsterdam Nieuw-West. Beginners are welcome to come sing and have fun. 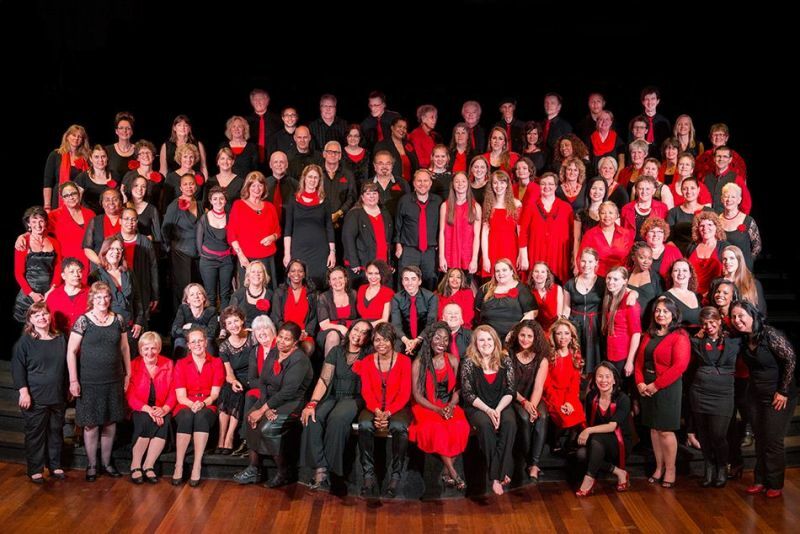 Popkoor Prestige is the Amsterdam branch of the nation wide choir initiative. They sing the latest pop hits. Rehearsals are in Mirror Centre near station Amsterdam Muiderpoort. Beginners are welcome to come sing! 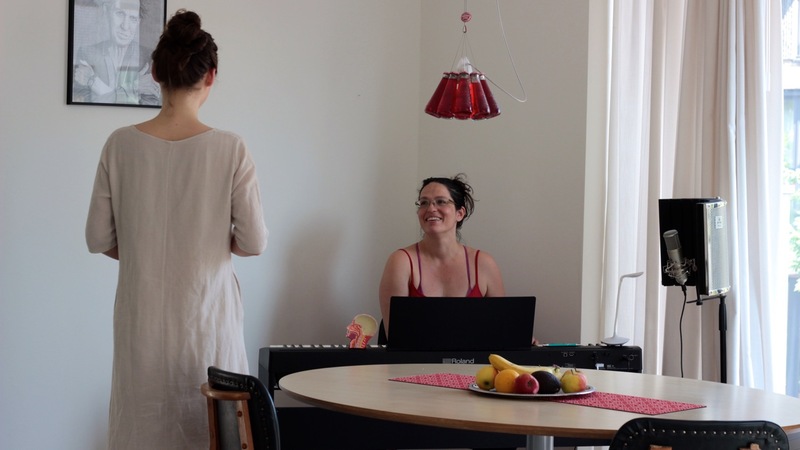 De Gezellige Blouse rehearse in IJburg and sing mostly pop songs. Beginners are welcome for a tryout. 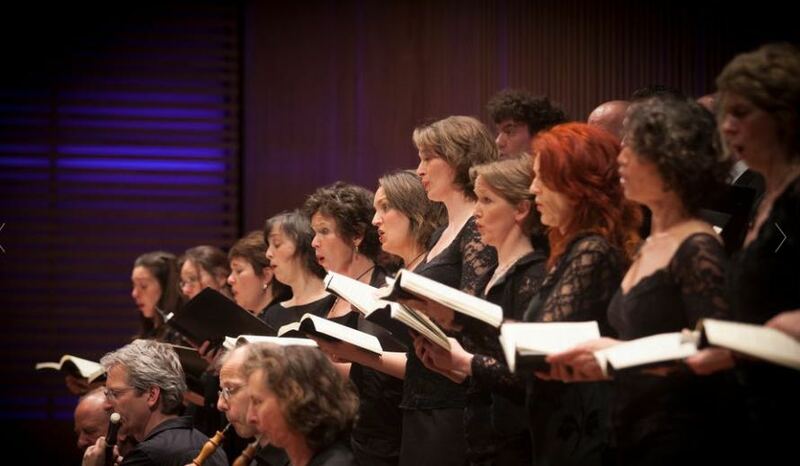 Around 30 ambitious singers perform classical compositions from Händel, Bach and more. Beginning singers are welcome in the VU Chamber Choir. Many have started without a lot of experience, and grown considerably. Het Studentenkoor Amsterdam (SKA) is an oratorium choir of around eighty (former) students. Since 1987 they perform classic and modern choir pieces. Sometimes a cappella, sometimes with a (student) orchestra. Women’s choir of an advanced level, who sing a cappella in different styles. 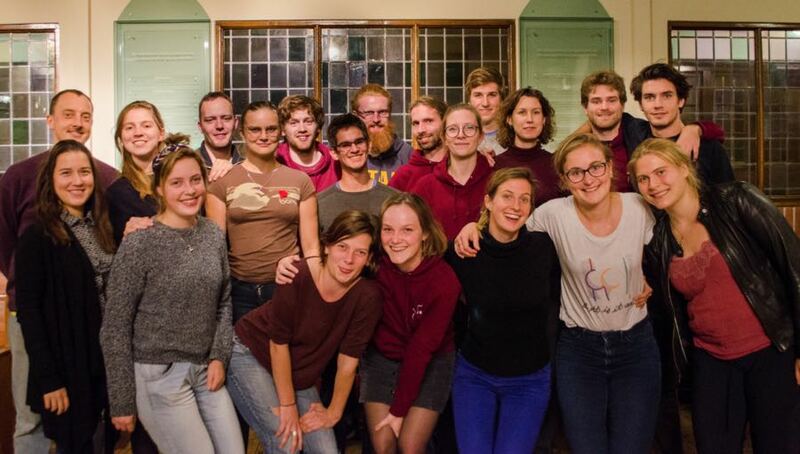 Beginners are welcome in this choir of Amsterdam Zang Academie. 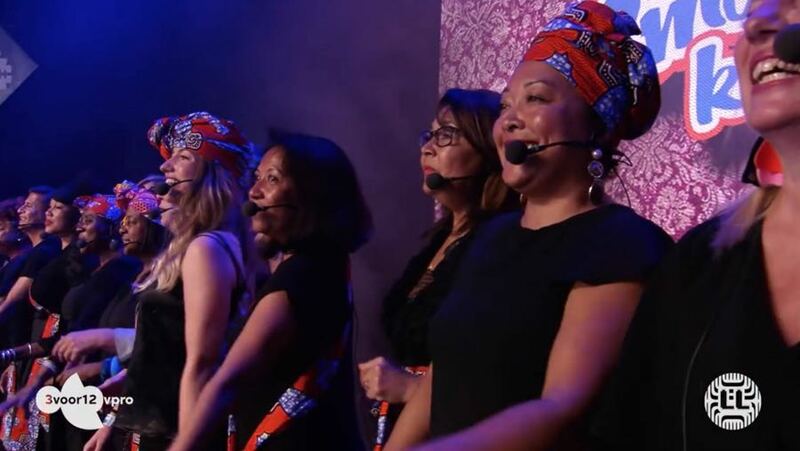 Around 16 experienced female singers form this choir. Rehearsals focus on technique and podium presentation. They work towards a yearly theater show. Beginners are welcome in this choir, that was founded in 2016. Beginners are welcome, rehearsals are bi-weekly. 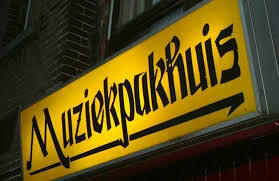 Muziekpakhuis in West is a music school/podium that hosts many choirs and ensembles, in the genres pop/jazz/soul/gospel. 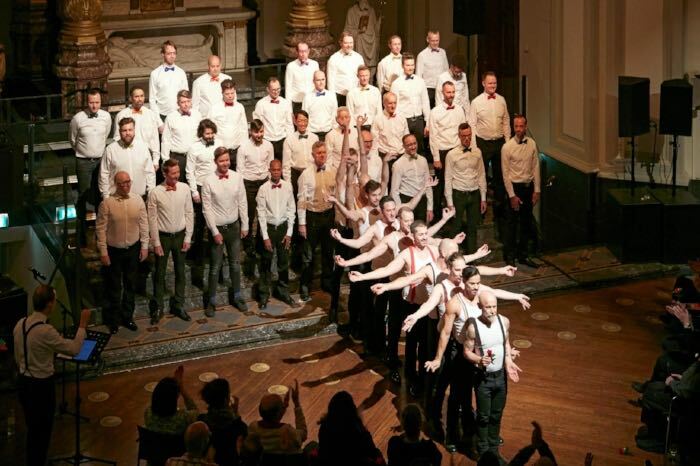 The Amsterdam Gay Mens’ Chorus is a very international choir, but with Dutch singers too. The repertoire is diverse: pop, jazz, traditional melodies and more.